After skimming through the threads in Gen. Discussion, i noticed no one has started one like this, so i figured i might as well. If this already exists, then this thread should be terminated, anyways, on with the show! Have you ever partaken in a fad? one of those trendy items that explodes in popularity one day and then slowly fades into obscurity in a few months. Since this site attracts quite a lot of people of differing ages, I bet a lot of you have seen your fair share of one-hit wonders. In addition, a lot of us come from different continents/regions, so what is popular over in Britain will be differ from what was popular in the U.S. I believe this will lead to a lot of interesting discussions about products of yesteryear. With that being said i'll start, Anyone remember Sillybandz? no? well I do! Over on the East Coast these things were EXTREMELY popular in 2010, you couldn't go two steps in an elementary school without seeing these colorful bangles on a child's arm. While looking like an ordinary rubber band on an arm, if taken off they take the shape of an object, like the ones above. Said shapes ranged from cartoon characters, fantasy, Halloween, animals, the sky's the limit. There were even rare rainbow colored ones that could fit on any wrist, and were often status symbols (at least in my school). So what went wrong with these innocent bands? Well its simple, wearing too many of them (especially the smaller ones) would cut off the circulation in a limb, and could potentially lead to amputation! ...That went dark fast. Yeah they came under fire one day when parents reported that their children were often suffering from that, which was a large detriment to the company. To compensate, they began to make them stretchier, allowing them to fit any wrist size without the worry of blood clotting. The reason i bring this up is because i encountered a few of my old bandz, one of which being a yellow seahorse (quite fitting for an east coast resident) but chose not to wear them out of nostalgias sake. So what about you? what was your version of the silly Bandz? anything captivate the interests of your generation as a kid? I REMEMBER THOSE THINGS AAAAAH!! I feel like I missed out on a lot of childhood fashion trends because I spent elementary school in a charter school. However, when I was in the third grade mermaids were all the rage at my school. One girl claimed to even be one. Edit: looking at articles and videos to refresh my memory. I remember boys bringing(sneaking) Bakugons and Beyblades to school. I myself had some. Then there was having 5,000,000 hair clips in your hair at once, which never flew at school. The one on the right looks familiar, but never seen the one on the left. At least not in that color. I do know for sure that the last fad that was popular around early days was Tamagotchi. I guess for it's time it was a little charming thing, but now it's nothing more but a reminder of a different time. Well at least it was a lot better then when kids would start using Snapchat. If I remember correctly the toy had a very short life cycle. Then I'm sure there were some other fads trends that popped up, but I never really found the interest to follow the trends. I remember sillybandz!!!!! I used to have the biggest collection of those!!! Haha! I remember Bakugon and Beyblade! I think my brother still has a couple around somewhere! At my school, the big thing was your Pokemon card collection! I remember that the boys would bring them so often to trade and play that the teachers added a club just for that! I swear it was the even more popular than art club! Does anyone remember slap bracelets??? Those hard bracelets that you slapped against you wrist to get them to curl around? Yeah.......I saw a teacher bring those out as prizes a couple weeks ago......I didn't know how to react to that. And did anyone do Rainbow Loom? Where you used little rubber bands to make stuff? I adored that when I was younger, but that died real quick for me. As for music: Fireflies was a huge song! By Owl City. I still love that song, but my school would play it while we ran in PE. I remember all of those....which got banned from school. There was the friendship bracelets with string then rubber bands. I had both....wonder what happened to them. There was also Furbys(those demonic little things) and Zhu Zhu pets. I have probably like 6 Zhu Zhu pets and the NDS game. Ugh. Furbys were the worst! They were soooooo annoying. One of my friends had one, and it would not shut up!!! So we locked it in a trunk. Is littlest petshop still a thing?? Ya'll got nothing on the beanie baby fad. Remember when NERF hit their peak? Gosh between both me and by brother, we probably had like 15 nerf guns. Every other commercial on tv was nerf. The funny thing is, we had no ammo to use them with. Cabbage Patch Kids was some dolls I pretty much enjoyed as a kid. Hey alright I've always loved Monster Jam and I'll always love monster trucks. Even when they're small and remote controlled. Cabbage patch kids always scared me. They still do to this day. Aah yes, the monster truck that would inevitably run out of battery or get destroyed. Ah Bakugan, i remember when i was bit by that collecting bug, Woo boy did i spend a lot of money on them. I remember falling in love with the first series, then my interest gradually fell after the second series completely overtook the original. The original balls were harder to find, only available from Amazon scalpers. then the third series came out with an online video game with multiplayer! which only lasted 6 months (yeah...) and i was burnt out by the 4th series, i didn't care about these special heavy metallic variants, or the show anymore i was done. Still have some of em laying around. @AtDuskIThinkOfU i remember those slap bracelets, if memory serves i won a tiger print one from one of those school fundraisers. Used to just slap it on my wrist just for kicks until it permanently bent in the middle. Or-beez? I think i remember those, those were the ones you put in a gun and shoot your friends with right? they were made up of some colored paint and when they made impact they did no harm (though they would color the fabric) I always wanted those, only for the chance to act like a sniper, hanging from trees and using the harmless bullets in a game of war just for kicks. @Imventus i never had any of the Tamagotchi, i did hear that there was a graveyard in japan dedicated to those digital pets that didn't last long, i guess a lot of kids considered them family? @Meow Wow As a kid, i didn't have the luxury of growing up with furbys (if those demonic owl cats were a luxury) but my sister had a few. There was this weird game involving a cloud stand that talked, and it had these little furby figures with names that only the cloud could distinguish between them. Never had that many nerf guns as a kid. I remember being enthralled by their appearance though, with the larger ones requiring massive racks of bullets that you had to hold in bandoliers, i can only imagine what that must have felt like. @Howler I remember those light wands, but i never had any of them for long. I do remember getting a light sword which was awesome! 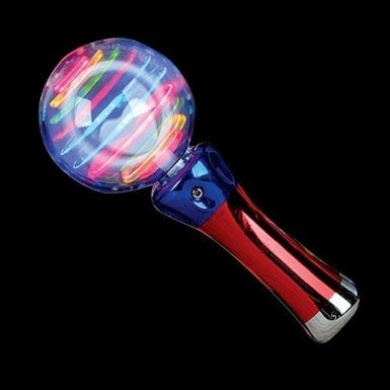 when you pressed a button the core would spin like the wands and the blade had an aurora light show inside. Man was that cool! until it broke. I was obsessed with beanie babies, I wanted to get all of them but I think I only had a couple. I was also on the Furbys train even though they were creepy, I used to collect the ones that McDonalds had in their happy meals. I used to collect the ones that McDonalds had in their happy meals. Same! I almost got them all. 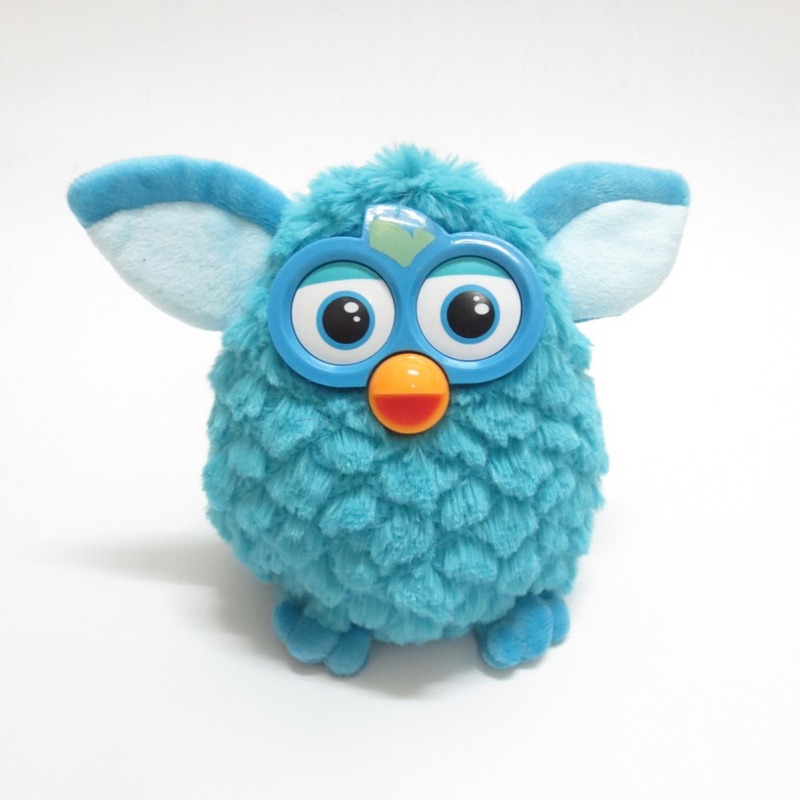 Firby was never my fad, but definitely a big one to consider. I remember Beanie Babies! I remember having to beat off a bunch of random adults to get the ones I wanted. I also got into Pokemon when that was popular and had a bit of random merch for that. 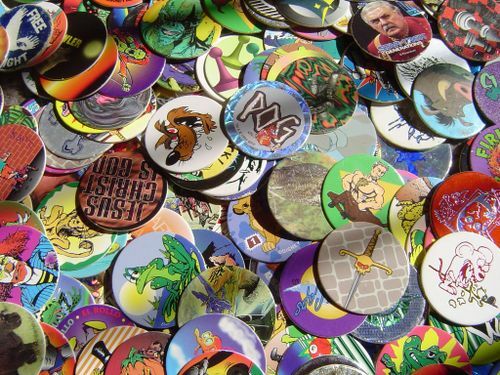 Was anyone else around for pogs though? I think I had a pretty extensive collection at one point. That fad where kids would hit you and call you names, whew lads, good thing I had the mushroom kingdom to fall back on. This is probably more of a fashion fad then a fad. I miss skorts. They seem to always come and go out of style. I also remember when women wore shawls over their dresses. Technically speaking, a fad can be anything, a toy, a game, style etc. So you can put clothing in here. Heck, i'd even say selfies are a fad, you do something stupid just for likes on twitter, pretty sure that qualifies as well. I loved playing on the N64 and Game Cube with my cousins. Super Smash Bros was our fav game to play and my cousins always got annoyed with me since I played Pikachu all the time and kept using the lightning attack on them, lol. I still have my N64 and some of the games like Super Smash Bros, Mario 64 and Pokemon Stadium.